Hand made metal framed gardening product. Size of Product: L-4" X W-3" X H-14.25"
This pair of garden stick will blow everyone's mind away. The colourful and sleek design is what sets it apart from others. It has a sleek thin line stand which ends with colourful beads. It has a metal Butterfly with intricate cuts. 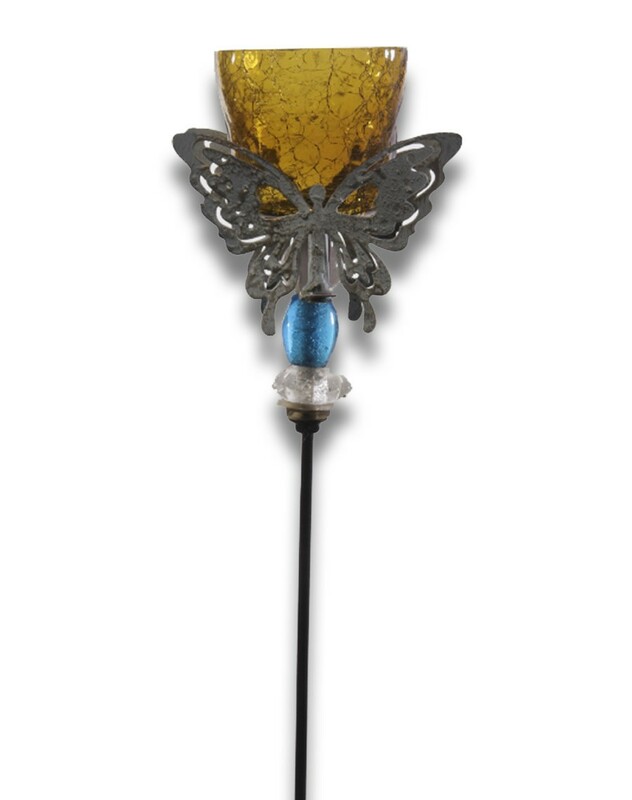 These metal framed butterfly holds a glass for holding the candles. The Yellow and black colour combination gives it a very old era look. It is a unique centre piece design and a good gifting item.